← If This 5 Minute Trailer for Independence Day: Resurgence Doesn’t Get You Excited For the Movie, Nothing Will! 6 Thoughts on the Third Season of Agents of S.H.I.E.L.D. 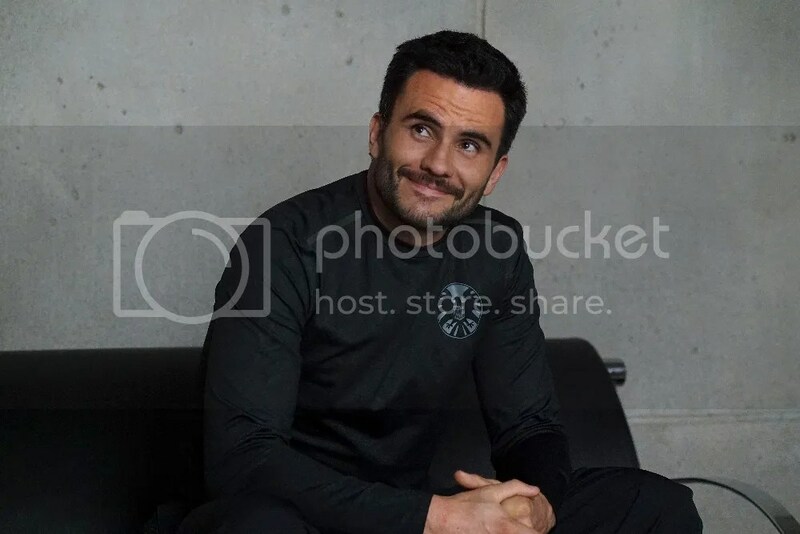 The latest season of Agents of S.H.I.E.L.D. came to an end last week, and I wanted to take a moment to reflect on the state of Marvel’s only remaining network TV show. I’ve been an avid watcher since the show started, and I also take in a lot of other superhero TV shows. We are living in a great time for superhero entertainment. Believe me, I’m thrilled. I enjoyed Season 3 of Agents of S.H.I.E.L.D., but I don’t think it has lived up to the promise of a Joss Whedon TV show set within the Marvel Cinematic Universe. This third season saw the agents team up with a few scattered Inhumans to take on an evolving HYDRA, and we learned that HYDRA’s true purpose was to summon an ancient, Inhuman god back to Earth to rule (I guess Red Skull missed that part?). The agents and their Inhuman Secret Warriors took on this god — named Hive — after he possessed the dead body of former agent Grant Ward. They also visited an alien planet! It was a solid season, and we’re definitely getting a fourth. 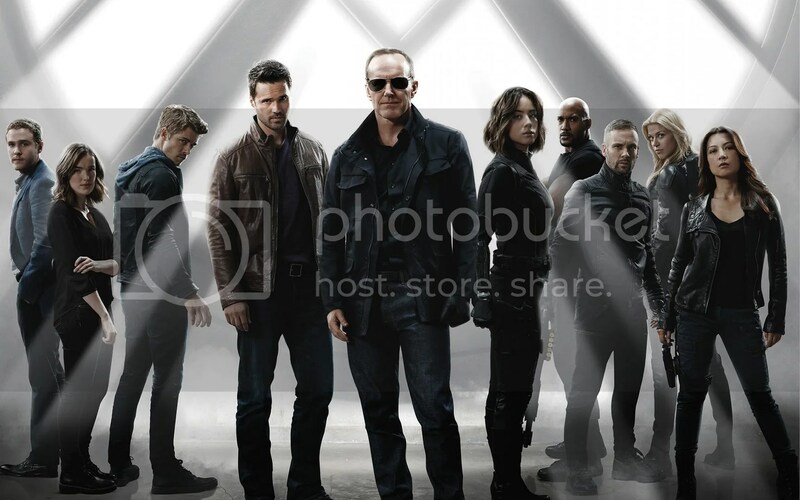 So join me after the jump for my thoughts of Marvel’s Agents of S.H.I.E.L.D.! There will be FULL SPOILERS for Season 3! I look forward to watching Agents of S.H.I.E.L.D. each week, but it’s not ‘must-see TV’, nor would I particularly recommend the show to anybody else. I just enjoy it, so I keep watching. When it’s gone, it will be largely forgotten, and I don’t think I’m going to miss it. But I find myself attached to the characters, and each episode provides more than enough action and drama to keep me watching. In fact, I even found myself getting choked up at some of the really emotional scenes this season, like the episode when Bobbi Morse and Lance Hunter had to leave the show (sadly, their spin-off was not picked up by the network). But then I’m a sucker for liking TV show characters. This season in particular was largely fine. I don’t think it was better or worse than any previous season. I like everything they’re doing with the Inhumans, and I wish we saw more of them. The show made a huge deal out of Daisy putting together the Secret Warriors, but they only used the team in one episode. That was a real shame. I also wasn’t a particular fan of ‘revealing’ that the true purpose of HYDRA was to rescue Hive from an alien planet. That kind of flies in the face of the movie HYDRA. But still, the trips to that alien planet were great, and Hive was a pretty cool villain. Though, if I can have one little rant, the show totally wasted Lash! He was the main villain at the start of the season, a monstrous Inhuman who went around killing other Inhumans. But over time, h sort of became an ally; and by the end, he was in custody, looking to atone for his sins. So what do they do? They set up this awesome Lash vs. Hive battle, and the excitement is palatable! Lash is the only person who can actively resist Hive’s mind control, and it should have been an epic battle…except, for whatever reason, the show never cuts loose. Lash hits Hive once, then turns around and slowly rescues Daisy from Hive’s clutches. Then he’s unceremoniously killed. The other characters try to play it up like “it was Lash’s role to rescue Daisy”, but we were robbed of an awesome ‘fighting fire with fire’ kind of battle, pitting the early season villain against the final villain. It should have been amazing, but NoooOOOOoooo. Missed opportunity aside, the show was fine. The writing is solid, the characters are worth following, and the storylines aren’t too crazy or too boring. I’m glad it’s continuing, and I’m definitely going to keep watching. Remember when she was a hacker? I didn’t particularly care for Skye at the start of the show, but she’s grown on me. 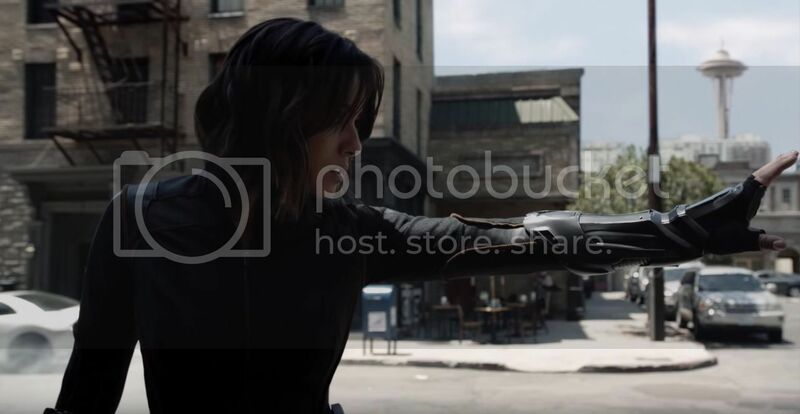 Actor Chloe Bennet has really come into her own, and she had some great emotional scenes this season, especially in the finale. I loved the reveal that she was Quake, from the comics. I love her budding superheroism, and I enjoyed her romance with Lincoln (I liked Lincoln, so sue me). Daisy is a pretty cool character, and I look forward to seeing her go rogue in Season 4, if that is indeed her storyline. It probably goes without saying that Fitz and Simmons are still the best part of this show. They’re still funny and quirky, but now they’re finally giving into romance. We’ve lost that amazing storyline where Fitz suffered brain damage, but we got a new storyline where Gemma started the season trapped on an alien planet, and Fitz risked everything to travel to that planet himself to get her back. Actors Iain De Caestecker and Elizabeth Henstridge are just killing it as Fitz and Simmons. The emotion is real, the turmoil is real; they often get the best lines and coolest moments. 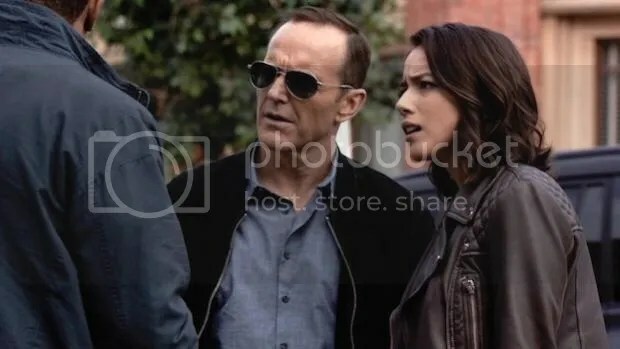 Here’s hoping they remain as important to the show as Coulson. Speaking of Chloe Bennet, she recently leveled some strong accusations at Marvel Studios that they don’t pay enough attention to Agents of S.H.I.E.L.D. There’s definitely truth to her claims. 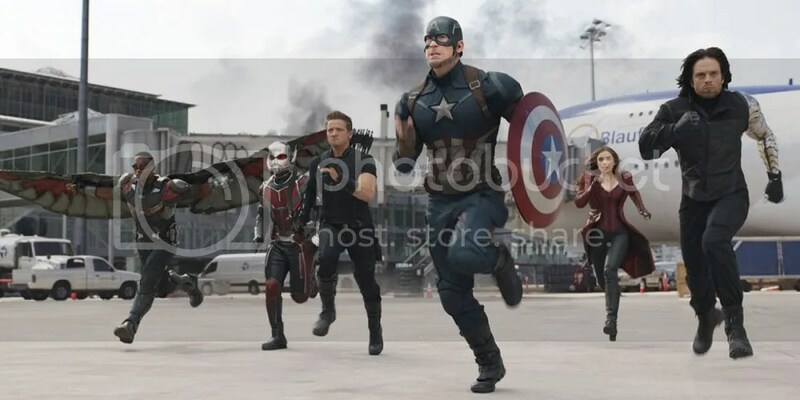 In Agents, there are so many Inhumans popping up in the world that the President has set up a task force to take care of them, but there is nary a mention of this outbreak in regards to the Sokovia Accords in Captain America: Civil War. Marvel has gone to great lengths to build their Cinematic Universe, but TV and movies don’t mix, and for good reason. Years of planning go into building a movie script, and they make millions of dollars more than the TV shows. The split just makes sense, and I am totally on the side of Marvel Studios. Why should Marvel derail or alter their bigger, better movie plans to squeeze in some plot points from Agents of S.H.I.E.L.D.? What purpose would that serve? We all love crossovers, but the amount of work, patience and contracts that would have to come together to make it happen probably aren’t worth it. Though I suppose I wouldn’t mind seeing Quake meet some of the Avengers…or Daredevil in costume hanging out with the other heroes in costume. Daredevil would have looked so good on Team Cap in Civil War. I don’t particularly care about the upcoming Inhumans movie. 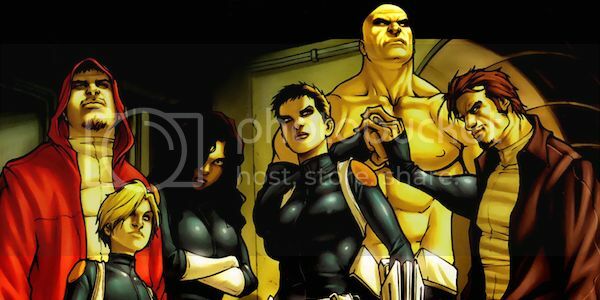 I’ve never been a big fan of the Inhumans, and I’m not a big fan of Marvel’s recent attempts to turn Inhumans into the new mutants so they can push the X-Men to the wayside. But in the context of Agents of S.H.I.E.L.D. 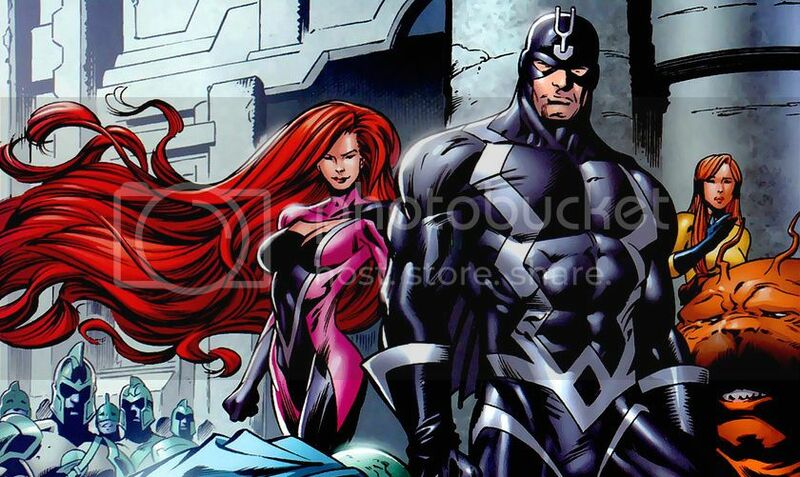 and their needs to be an ongoing TV show, I think the Inhumans are a solid plotline. The Avengers definitely don’t have time to deal with it in the movies, but if you’re going to go all the way and introduce the Inhumans, it helps to stretch the story out in a TV series and really explore the nooks and crannies. That being said, I hope to see something more than just the Inhumans going forward. I would like to see some more international espionage. I didn’t like how HYDRA was altered from the movies to suddenly be about the Inhumans. Surely there are other threats out there in the world that need to be dealt with by secret agents. For that matter, what is the purpose of SHIELD as an agency anymore? Now that I really think about it, it feels like they’ve just been jumping from one crisis to the next. The core team is constantly dealing with whatever new threat pops up, but there’s also an entire agency behind them, with tons of background characters and facilities. What is everybody else working on? Along with buckling down and putting the agency to better use, I want Agents of S.H.I.E.L.D. to focus more on their superheroes. The best part of season 3 were the Secret Warriors, as Daisy put together a team of super-powered Inhumans to act as a special strike force — only to feature in only one episode before breaking up. That was a huge disappointment! As much as Agents of S.H.I.E.L.D. might want to focus on their regular agents, putting together a super strike force of superheroes should absolutely be a goal going forward. Why isn’t ‘making our own Avengers’ a priority at SHIELD? The show has flirted with superheroes before, including Deathlok and Mockingbird, but both characters came and went. Agents of S.H.I.E.L.D. is down to just Quake, who in the comics is still more secret agent than superhero. I want to see costumes. I want to see awesomeness. As great as Fitz, Simmons, May and the rest may be, it’s time to really push the envelope. 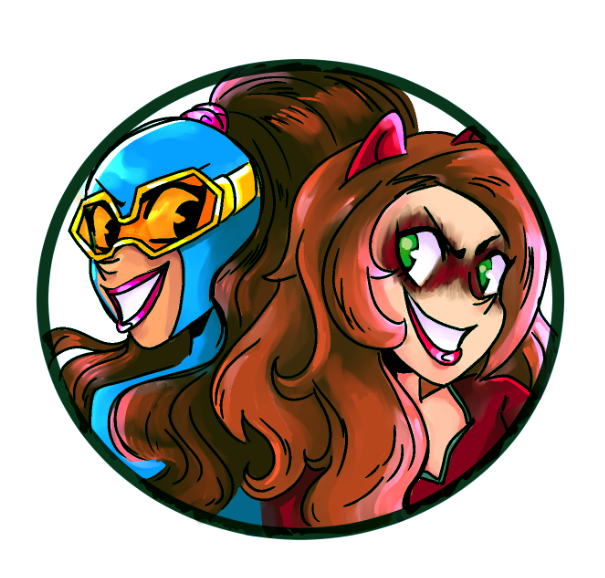 Introduce some new characters, retrofit some comic book heroes that are likely to never be in the movies. I don’t think it’s too much to ask that Agents of S.H.I.E.L.D. star Joey and Stingray. But not Joey as Stingray. He’s got his own thing. But in all seriousness, I think Agents of S.H.I.E.L.D. needs to go full superhero. The Marvel comic book universe has tons of superhero teams besides the Avengers. Agents of S.H.I.E.L.D. seems more than willing to make the Secret Warriors a thing, and I think they should push that angle hard and embrace the powers and the superheroics. Daisy, Joey and Yo-Yo have been great on the show. And Hellfire may have been a villain in Season 3, but he was a Secret Warrior in the comics. Then there’s also Phobos and The Druid, not to mention Deathlok. Is J. August Richards’ calendar so full that he can’t become a S.H.I.E.L.D. regular? Agents of S.H.I.E.L.D. has accomplished a lot in three seasons, but they need to go even bigger and bolder as they move forward. The Marvel Cinematic Universe is a big and vibrant place these days. The show needs to adapt. It’s for the best. 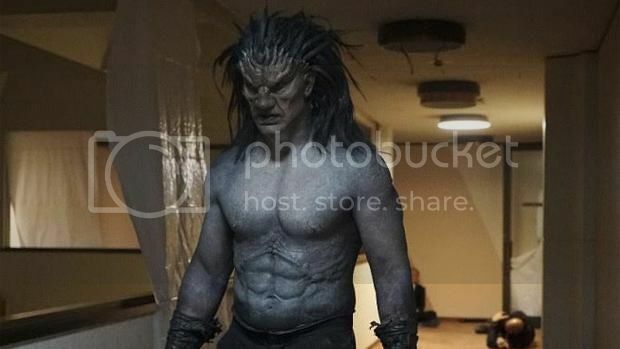 What are your thoughts on the latest season of Agents of S.H.I.E.L.D. Love it? Hate it? Still watching? What do you think they could do to improve? Let me know in the comments! Posted on May 25, 2016, in Lists of Six!, Marvel, Television and tagged Agents of S.H.I.E.L.D., Daisy Johnson, Inhumans, Marvel Cinematic Universe, Secret Warriors. Bookmark the permalink. Leave a comment.